The Nazis in Lion King? Just a quick note, but, am i the only one who realizes the hyeneas are doing the Nazi march? Um, yeah. That was kind of the point. Yeah when they march past scar in be prepared. Pie Equals Friendship in YO FACE! Oh yeah, wow I never noticed that before. Like I said, haven't watched it in a while. That's when Scar was singing that song "Be prepared" right? I remember the nazi like marching. Interesting that they are even doing the Zeig Hale. It's just a militarized march. Not only the Nazis did/do this. 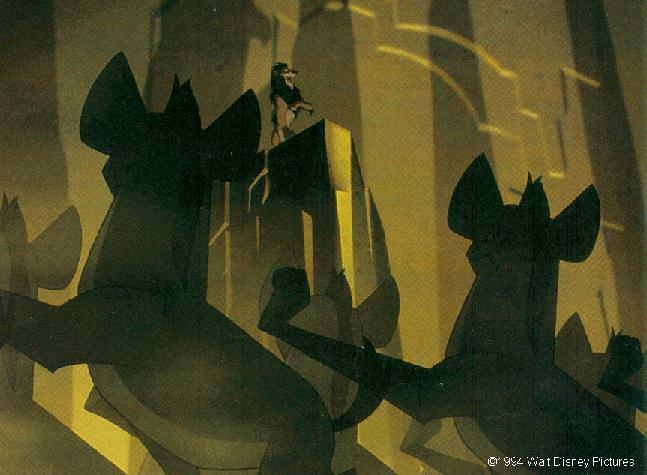 And after all, this was Scar's army of hyenas. i fail to see the importance of this. Wow. Really now Disney, WTF. Just watched the scene. Damn I haven't seen the movie in years. Seen marches like that when they show N. Korean militants marching down the street on T.V. Unless the turning of the heads was something Nazis did in their march than this is just a normal thing. Symbolism is lost on the younger generation. I feel bad that I never realized this until right now. I feel bad for you as well. This thread is why I hate humans. This is old news. Very old.